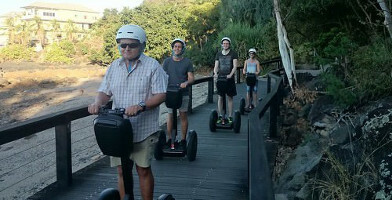 For a unique gift idea perfect for anyone holiday in the Whitsunday's, these segway tour gift vouchers are ideal. With the choice of either a rainforest tour, or a coastal tour, you can pick which landscape suits the recipient of the vouchers personality best. These two wheeled vehicles provide a unique way to discover the beauty of the Whitsunday's, providing a whole lot of fun at the same time. 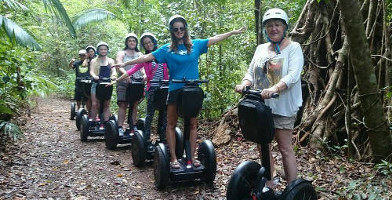 With a friend and experienced tour guide there for the whole ride, these Whitsunday Segway Tours provide everything someone could possibly need for a great day out. Browse the two products below and purchase a gift voucher here today! Allow someone the chance to explore lovely Conway National Park with a Rainforest Discover Segway Tour. Buy a gift voucher here! Give the gift of a beautiful sunset segway ride with this fantastic Whitsundays tour. Purchase a gift voucher here today and make someone's holiday!